Sonic adventurers Viridian Sun follow up their daring, acclaimed debut, Solar Noise. Perihelion goes in a slightly new sonic direction, but retains the intuitive, improvisational approach. The focus remains on creating highly visual and evocative soundscapes, an ever-evolving construction of loops and drifting background textures, both hypnotic and beautiful. 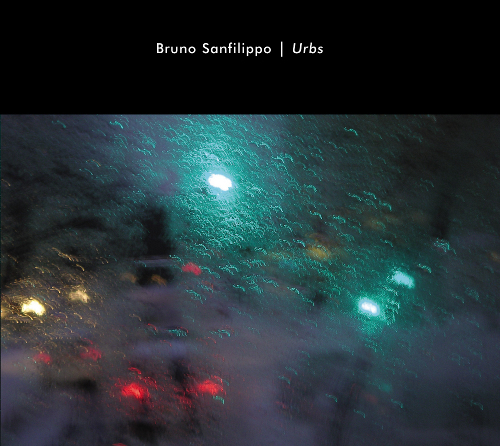 "...my fave release so far from Hypnos. Just excellent." "Best Releases of 1999 (#2)." "Best of 1999 list (ranked #5)." "Meditation/Ambient Music Top 10 of 1999." "Viridian Sun is M. Griffin (electronics) and David Tollefson (guitar). 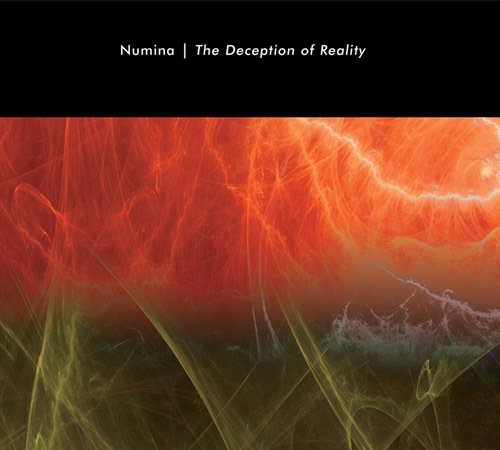 Recorded live in studio in 1997, this CD features 68 minutes of further quantum ambience. This time, Viridian Sun explores the sonic nature of a star during its nearest proximity to the orbital paths of planetary masses. Such interactions are separated by vast distances, generating physical caresses that remain tenuous and subtle . . . not unlike this music. Languid electronics unfurl in conjunction with treated guitars, producing fastidious auralscapes containing demonstratively powerful moods and soft vibrations of a synthetic quality. The notion of the relationships between star and planets remains abstract, manifesting with rarefied tonalities. This music is devoid of overt rhythms. The tones and pitches are enriched by drifting harmonics, layered to achieve a quasi-melodic nature that is more than background, but less than dynamic. The grandeur of cosmic interaction is captured superbly in this manner, exemplifying the concept that stellar attributes do not transpire with instantaneous result. While Viridian Sun's "Solar Noise" release features long compositions, "Perihelion" expresses the music in shorter tracks, compressing the elongated nature of space into more accessible doses of improvised ambience." "First of all, the cover is as usual striking and unique, with the 'trademark' look of Hypnos. I'm really really enjoying this one. The vision has expanded and the brightness introduced, from the low and subterranean droning structures, you both have realized another brilliant collection of eerie and trance-inducing atmospheres. Perihelion is a strong and very cohensive album which cuts through, blends and corresponds with the perception of the listener. Equally strange, surreal and dense [as the debut Solar Noise] but it's this album which sets the unified harmony in focus and states with sound what the Hypnos label actually stands for. 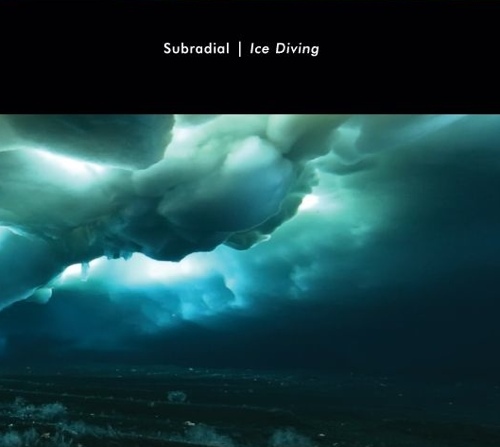 Exceptional and fascinating." "Perihelion is a dark and mysterious soundscape from Viridian Sun -- Mike Griffin, founder and owner of Hypnos Recordings, and Dave Tollefson. Tollefson's treated guitars complement Griffin's synths as the atmospheres weave in and out of the soundscape. This is the kind of experimental minimalism on which Griffin founded the label. The organic atmospheres are deep, foggy, dense, and dark. Tollefson and Griffin are right in step with each other as the drones go deeper and get darker. This offering will appeal to fans of Mathias Grassow, Diatonis, Alio Die, Jeff Greinke, and Stephen Philips." "Viridian Sun is a collaboration between Mike Griffin, Hypnos label founder, on synthesizers, and David Tollefson on treated guitars. The elements blend and blur together, such that a virtual whirlpool of mind-bending sounds is created. This is ambient music with a decidedly psychedelic twist, as clearly evidenced on "Epihelion," the opening track. Dark rumblings mix with electronic bleeps and loops, blended with long washes of synthesized sound. At times chaotic, at times unsettling, always interesting, the effect throughout Perihelion is one of traveling, perhaps spinning upward or spiraling downward. There is definitely an up feeling to "Axionsunburst," with its bright tonal qualities, whereas the murky depths are explored in "Elixir Sonic," as water cascades around deep echoes and haunting alien noises. Speaking of alien, parts of "Pelior Is V" could be an outtake from the soundtrack to the sci-fi film Forbidden Planet. Watery sounds return, and the feeling is somewhat calm, but with the feeling that someone may be watching from behind. The spiraling theme resurfaces on the appropriately titled "Voidvertigo" and "Spinning Timeworks." Throughout, as on their previous release, Viridian Sun's music is much more about creating sound pictures than about melody, as there is none to be found here at all in the conventional sense. Certainly, Berlin school sequencer fanatics will want to avoid this one at all costs, but for your next dark or trippy ambient journey, this is highly recommended listening. Wear your seat belt. " "This is an excursion into very dark ambient territory, an amelodic, surreal, incorporeal world. Viridian Sun is synthesist and Hypnos label owner M. Griffin and guitarist David Tollefson, and both combine their indescribable sounds into a mysterious and wonderful concoction that not only draws its influence from modern pioneers such as Vidna Obmana and Jeff Greinke, but hearkens back to the analog pioneers Tangerine Dream and Conrad Schinitzler. "Epihelion" is a 12 minute opener that reminds me of some of Lightwave's deeper moments, a sonic painting whose every sound is both familiar and strange, it's rich with subtlety and an instant classic. The middle seven tracks are shorter pieces than their bookends, and each one is vibrantly different and headily spacious. 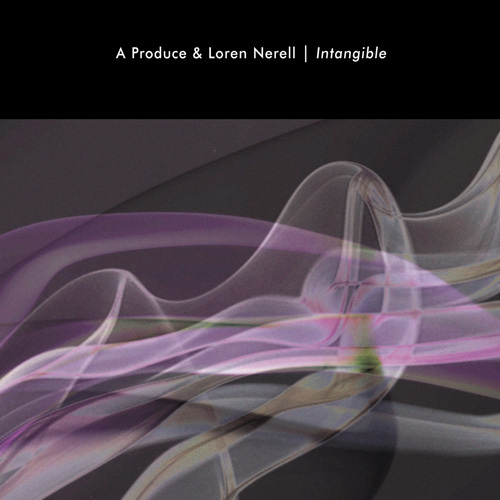 "Elixir Sonic" is low-toned and growling, with similarities to Loren Nerell's more ambient work. "Voidvertigo" is out in deep space, bubbling and strange cosmic sounds permeate the vacuum. At 4'39, it's over much too fast. "Ion Or" is perhaps the CD's most eerie moment, portraying quantum randomness with atonal synth and cosmic guitar sounds. The 15 minute title track finishes off the set, and is perhaps the CD's most challenging piece, combining Schnitzler-like experimentation with hints of Jon Hassell and Ariel Kalma, an insistent synth cycle giving way to bizarre and sentient atmosphere. 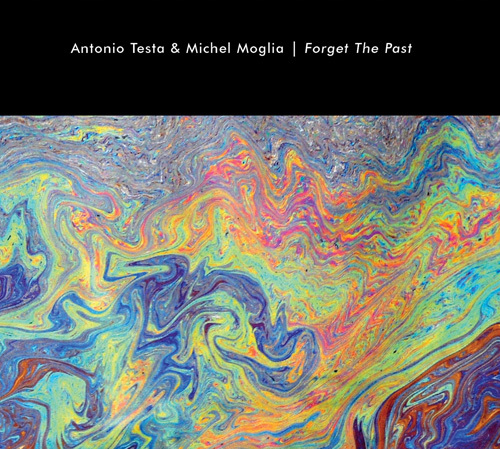 This is sure to delight those into the more challenging side of ambient music." "Mike Griffin and David Tollefson each have credible solo careers yet first came to our attention as the duo Viridian Sun. The word 'perihelion' means the point of an orbit closest to the sun. Perihelion, the new Viridian Sun CD, transports the listener to the center of some unexplored system to witness this moody soundworld making its closest approach." 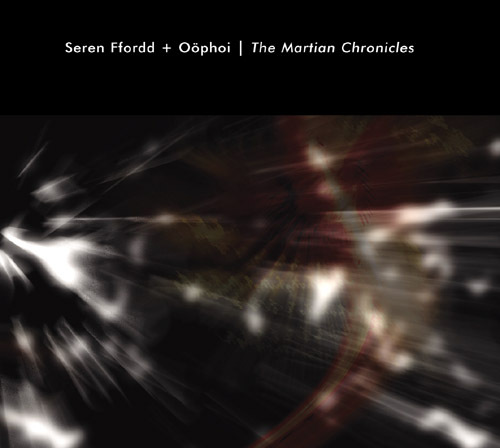 "Perihelion is the long-awaited follow-up to Viridian Sun's excellent debut, Solar Noise. On this album, the Portland duo moves into a more experimental realm, leaning more towards the weird and abstract than the smooth and atmospheric. Two long-form pieces, "Epihelion" and "Perihelion," bookmark seven shorter tracks that explore a wide variety of sounds. The interplay between M Griffin's synthesizers and David Tollefson's treated electric guitars gives this music the unique Viridian Sun feel while allowing for many different approaches. Spacy harmonics, bell-like tones and looping guitar phrases and percussion combine to evoke an altered state of listening. Like most experiments, Perihelion is not as immediately pleasing to the ear as its predecessor. The strange, trippy sounds take a while to get used to. The closing title track probably does the best job of integrating more subtle techniques into the Viridian Sun stew. Perihelion demonstrates Viridian Sun's willingness to explore new territories in sonic creation, obviously buoyed by each member's solo work as well as the live performances they have been giving. This unique combo will undoubtedly continue to please and surprise." "With their second full-length release, the masters of Pacific Northwestern dark ambient have surpassed the artistic excellence of their debut, Solar Noise. From the very first notes they succeed in creating an aura of unease and vague threat, of droning machinery hidden in unfathomable forest landscapes and of sounds from outer space hovering all too closely to the surface of the planet. The sound palette is perhaps not broad but it has great depth and the abiding strength of this duo is their patience in allowing each individual composition to develop apace, resisting any impulse to hasten the process with sensational effects or dissonant patches of noise. 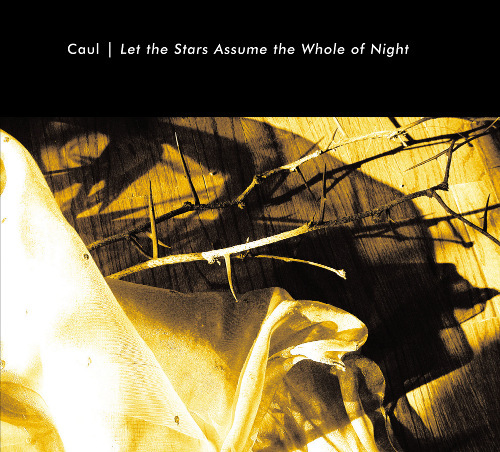 One of the finest dark ambient albums of the year thus far." Perihelion is the second release by Viridian Sun (the first being 1997’s Solar Noise), whose members, M. Griffin and David Tollefson, have also released solo ventures that explored an array of ambient possibilities (Sudden Dark and New Eyes On The Universe, respectively); M. Griffin is also the head of the excellent ambient label, Hypnos, specializing in cosmic sonicscapes with substance. Viridian Sun personify a kind of soothing, alien ambience, hospitable, without fear, no deceptions to be plied as the aliens may be strange, but that does not make them our enemy...The improvisational crux of this synths and guitar based music always seems to have a purpose, looped sounds emerging from within the folds of the fabric of the universe, swept back into layers in constant shuffle. The escalator ride that is "Epihelion" ascends past a Milky Way spray, finally circling back and setting camp on a Martian shore, the residual sentience of life long vanquished somehow captured (channeled?) by our explorers. "Elixir Sonic" incorporates the machinery pulse at the heart of a planet that may or may not be organically induced (is this a planet of natural creation or manufactured meditations? And, if the latter, by whom? ), reverberating with the trace memory howls of unknown beasts that once resided there. "Pelior Is V," through a collage of echoey, muffled voices and indecipherable sounds, would make the perfect soundtrack to a remake of Forbidden Planet, somehow linking the sonic textures of the original with Viridian Sun’s own take on that forbidden terrain. The title track leads us to a place known as Beyond, and an even darker, vacant realm, where even aliens fear to tread. 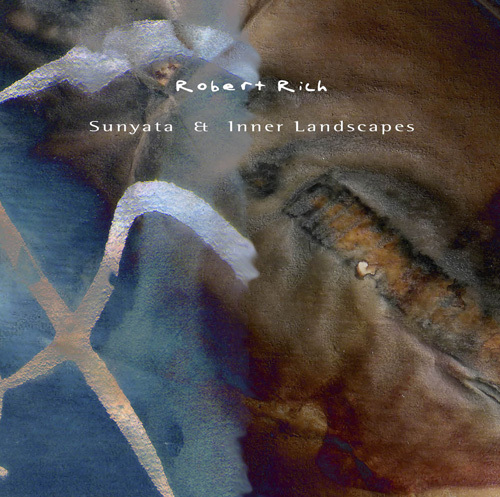 A wonderfully adventurous excursion to the outer limits of ambient music." "One of the more prolific darkscape experimental neo-ambient efforts witnesses Mike Griffin and labelmate/friend David Tollefson entering a soundspace of a future dimension in their journeyman guise Viridian Sun. The end result, recorded live in the studio, was Perihelion, a curious mission involving more defining electronics than expected on a Hypnos release. The music itself is intensely stimulating, as Griffin and Tollefson navigate extraterrestrial terrain like voyagers on their first mission. The obscure sequences are very foreign in nature, guided forth primarily by many shapeshifting terrestrial echoing arrangements as experienced on "Pelior is V" and "In Peril (Visium)." Viridian Sun, drifting back and forth among ambient and alient soundscapes, reveal their passion for intimate eccentrics, initiating their elaborate diversions through spiraling, twisting movements that are sensory enhancing and awe-inspiring. Perihelion is a rich, fulfilling look in a structured futuristic experimentalism. The timely melancholic and eerie style of beatless rhythms incorporated among the ambient synthscapes offers an intrinsic view into a very "developing" environment. Griffin and Tollefson's multi-dimensional has allowed them to navigate virtual planes of sound and theory uniting expert musicianship from within a studio environment. Maybe someday Viridian Sun will perform this experience live in an outdoor setting amongst pine trees, around fall under the cover of midnight, when the earth is at its most vulnerable, susceptible point to understanding and visualizing an extraterrestrial experience created via music." 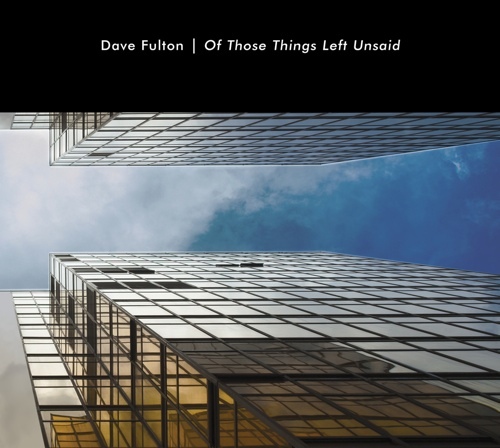 "From 4 to 12 minutes long, this is an album from M. Griffin on synths and David Tollefson on treated guitars, and this music is of the darker variety, one where all sorts of textures and layers are explored with fascinating and totally addictive results, as a wide range of sombre, full-sounding space music compositions come flowing and drifting from the speakers, all rather eerie overall, with the misical layers doing the drifting bit but there are lots of other things happening in the mix, or at least you think there are, as you hear chanting, hissing (or was that the wind outside) -- and are those echoed voices -- no, just a different layer somewhere at the heart of the huge, flowing electronic sounds that emerge from the darkness -- that place where you rarely like to go, but when you do.... well, this is the experience that results. The more you listen, the more you understand and the less frightened you become. It's an addictive ride." "Hypnos head, Mike Griffin and ambient guitarist David Tollefson are Viridian Sun; their newest release, the spacey and abstract Perihelion journeys even further into unexplored galaxies than the duo's first CD, Solar Noise. While those pieces are deliciously intergalactic earfuls, they seem somewhat static compared to these more involved, perhaps noisier, excursions. If you're going to be lost in space though, this is the place to do it. epihelion wormholes through everchanging sound sectors... a thundery/splashy expanse, echoing space ripples, fuzzy electrodrifts, resonant drones and beyond. A radiant double-helix of electric sound leads to axionsunburst, where everything smooths into a looping, blurry drone accented with faint musical tones, all of which fade to a state nothingness; which becomes elixer sonic. An echoey, pounding rhythm mellows into a spacey shimmer where discordant notes swell and aggressive slashes of sound occasionally interject upon the steady background thrum. An active atmosphere of surrealistic futurism. Fluttery rippling effects mark the birth of pelior is v (4:00). Tollefson's guitar strings produce warbles which traverse Griffin's free-floating synth waves. Faint watery clatters decorate the track's depths and growing electronic blares rise to the forefront. Swarming cyclical throbs produce a mildly abrasive case of voidvertigo, along with additional swelling waves of irradiated energy. A rocket-like roar seems to propel in peril (visium) into a lazy orbit around a softly swelling orb of sonic sheets and pulses. Brassy rays waver and refract in a curtain of glistening particles. Other visitors include an array of extraterrestrial noise patterns, including hums, drones, warbles, glimmers, phases and distant rumbles. Lighter zones await with spinning timeworks, where soft flows of musical energy meld together, joined by a general electric weightlessness. Luxurious drones and extended strands of feedback swirl around space-orchestra waves. Musical mutations seem to be locked inside ion or; amidst a bed of shifting celestial twilight, distant tones seem to attempt escape from some unseen barrier, resulting in a minor chaos within. A quiet approach to perihelion (15:23) becomes noisier as it progresses. As if journeying into a vast, biomechanical lifeform, a hollow mechanical pulse grows and recedes, amongst starry sheets and mysterious thumps and squeaks. Electro-animalistic wails pierce a growing wall of reverberating sonic dissonance. If your idea of "space music" is as earthly as the soundtrack to Star Wars or 2001... please! Do yourself a favor and let Perihelion lead you to truly unknowable soundworlds. This is space music, not that ordinary orchestra pit action; Viridian Sun offers listeners direct transportation to exotic new dimensions. I'm launching an 8.5 for these innovative spacebound explorers." 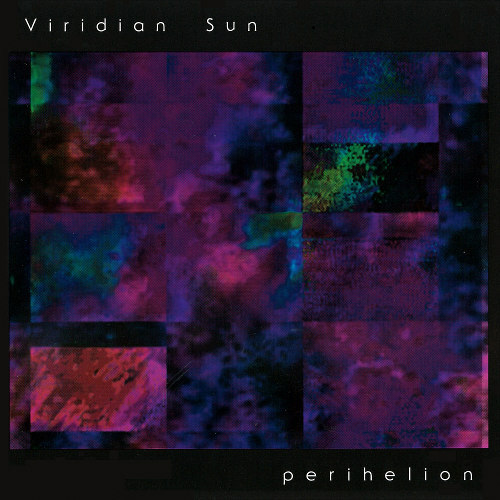 "Viridian Sun have also covered new ground with their latest album Perihelion. This work is entirely improvised and very intense in parts. Moving away from the long static pieces of the 1997 debut Solar Noise, Perihelion has a very dynamic and pulsating sound in general. This is dark ambient of a different kind. The one that asks for your involvement and constant attention. Its strength lies in the energy coming from within." "The two members behind Viridian Sun are also actively as solo musicians and label bosses of Hypnos. It may be no suprise that their second CD is like an index of what music on Hypnos can be like. Mostly a dreamy world, full of different colours but one that is also highly abstract and at times disturbing. Much happens in the background - it comes better to you when listening with headphones. I'm not familiar with their debut CD, but it fits clearly in the Hypnos catalogue and lovers of the more daring ambient music know what to get." "Once again we are immersed in a world of textures. The pieces seem to be improvised but there is a sense of structure (if you can call it that) contained within. There is a darkness created, but at the same time the pieces contain beauty, that is to say it is a sound that reaches out for the light, if I can be holistic for a moment. At times I feel like I'm listening to a soundtrack to a science fiction film, the mood being alien, dark and foreboding. This is what I term underworld music, where the feel and tone is primal and at times on the uncomfortable side. The sound Viridian Sun manage to convey is quite filmic in parts and I would not be at all surprised to see these two guys composing for film one day if they haven't already. There are a lot of drones created in the process and it appears that the pieces are built around these drones. At times beatless, there is nonetheless a kind of subliminal pulse at play in the background. Some of the pieces (Elixir / Pelior is X / Void Vertigo ) are very similar to terrains that Eno explored on recordings like White Cube, industrial sounds processed over and over again and slowed down till they became unrecognizable. This is music for an isolated geography and listening to it late at night as I do I'm struck by this great sense of power within. 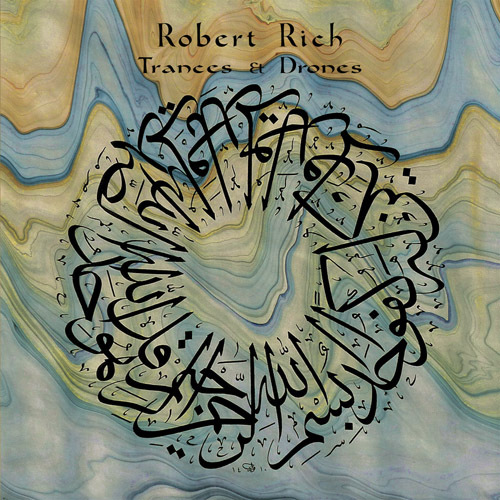 Some of the longer tracks remind me of Robert Rich's all night sleep concerts, effectively lulling the listener into a deep hypnotic state where the sound washes over you and spirals out. The other point that strikes me is that it's difficult to distinguish between Mike Griffin's use of synthesizers and David Tollefson's treated guitars as the sound they create merges so effortlessly and seamlessly.This particular recording is quite a polished performance where a lot of time and care has been taken to 'get it right'. I believe the results speak for themselves. The last few releases on Hypnos have seen the label move more towards what some might call space ambient, where as before it appeared that the focus was on releasing interesting and experimental music from relatively unknown artists. On Perihelion they have managed to not only present a polished product, but retain this sense of that rough edge / uneasy listening. I think this is as good as anything Hypnos has released in the past. I know I have said it before but Hypnos are one of a few labels which are releasing interesting music, music which in the long run deserves a far greater listening audience." "Mike Griffin and David Tollefson, a.k.a. Viridian Sun, got together in late 1996 and put together a wonderful improvised sound collage called Solar Noise. The resulting five tracks of sublime ambience were well received by electronic music radio stations and magazines. For those of you patiently, or not so patiently, waiting for a follow up, Perihelion has finally arrived. This time around, there are nine tracks, exploring even more unusual "surreal alien soundscapes," to coin a phrase from the latest Hypnos catalog. Indeed, at times I feel like I'm listening to the 90s version of Forbidden Planet. Griffin plays synthesizers and Tollefson treated guitars. Beginning with the 12-minute "Epihelion," we start our descent into other worldly places. The music slowly washes over you, floating through alternating moments of darkness and beauty. With "Axionsunburst," things get trippy, the music spiraling outward in ever-increasing circles of sound. "Elixir Sonic" explores dark caverns, perhaps peering in on a primitive alien ritual. Water drips down the cavern walls as we proceed into the depths. "Pelior is V" continues the dark tone, but with a more sci-fi feel, though the water is still cascading in the background. But it isn't like any water you've heard here on Earth. Soft moaning is heard, and there is a chill in the air. The alien atmosphere is accomplished through an array of effects and strange sounds, such that it is sometimes difficult to tell which part is synthesizers and which is the treated guitar. Like all Hypnos releases, the mastering and sound quality are excellent. The mood remains mostly eerie throughout, though the treated guitars on "Spinning Timeworks" are beautiful in a dark way. The 15-minute title track brings things to a dark, churning, pulsating conclusion. About halfway through this one, I'm under the covers, certain that whatever is outside is getting closer... and closer... and CLOSER. If you like melody and structure in your music, you won't find anything to your liking here. On the other hand, if you like shifting, formless masses of sound, which carry you to a complete fantasy world, you must hear Perihelion. If you are subject to vertigo, grab on to something before listening."